Motorists are being warned to take extra care as wintry conditions continue to cause disruption in parts of Wales. The Met Office has issued a new yellow "be aware" warning for ice from 16:00 GMT on Wednesday, with untreated roads and pavements potentially hazardous. 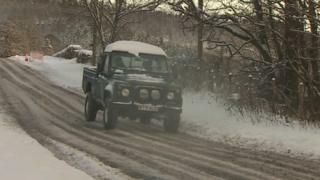 Only a handful of schools are closed for a third day following heavy snowfall at the weekend. And there has been fresh snow on higher ground in parts of north Wales. A Met Office yellow warning for ice ended at 11:00 but the new one has been issued until 11:00 on Thursday. In Powys, gritters were out overnight preparing for rain, sleet and snow which is due to sweep across the county. Councillor Liam Fitzpatrick, cabinet member for highways, said drivers needed to "go carefully and patiently". The Bwlch Mountain Road in Rhondda Cynon Taff which was closed since Sunday due to icy conditions has since reopened after snow was cleared. 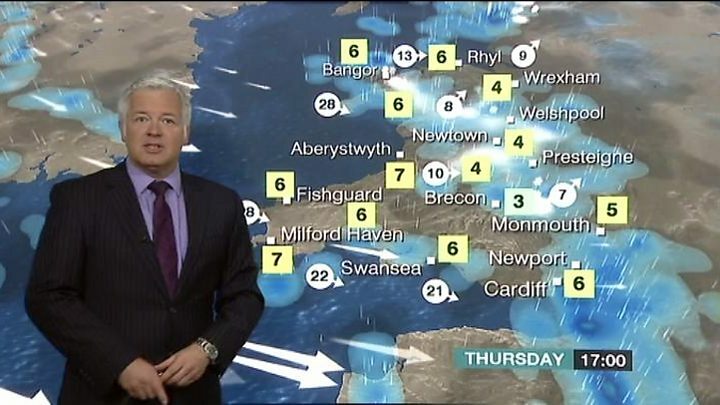 Arriva Trains Wales said the line between Llanelli, Carmarthenshire, and Craven Arms in Shropshire will be closed all day due to fallen trees or overhanging branches following the high winds and heavy snow. But with the worst of the weather appearing to have passed, most schools opened after about 300 were closed on Tuesday after snow turned to ice.